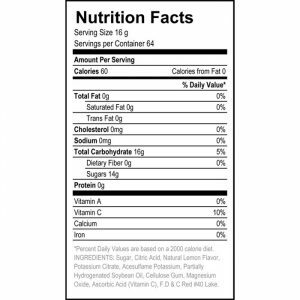 All the deliciousness of Lemonade with the added bonus of being PINK! 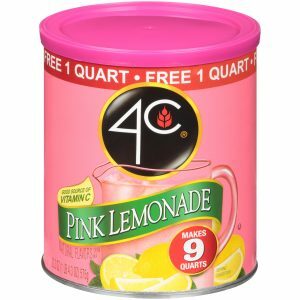 4C Pink Lemonade is sweetened with real sugar and is a tasty way to get your Vitamin C. Makes 9 quarts and is packed in an easy-open canister complete with a measuring scoop. All the deliciousness of Lemonade with the added bonus of being PINK! 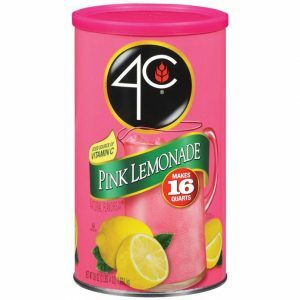 4C Pink Lemonade is sweetened with real sugar and is a tasty way to get your Vitamin C. Makes 16 quarts and is packed in an easy-open canister complete with a measuring scoop.